Ethernet is a great way to move digital media — photos, movies, and music — around your home. Unlike other types of digital data, audio requires precise timing of the signal to produce maximum musical realism. For sending digital audio from Point A to Point B, AudioQuest's Forest Ethernet cable offers several advantages: high-speed, plus extremely low timing jitter and time delay (latency). You can count on bit-perfect transfer over significant distances (up to 328 feet without an active booster or repeater). Forest uses eight solid copper conductors, and each wire is silver-plated, which benefits high-frequency applications like audio. Signals at these frequencies travel almost exclusively on the surface of the conductor. Because the surface of each conductor is made of high-purity silver, the cable's performance is close to that of a solid silver cable, but priced much closer to a solid copper cable. It's ethernet, I know. I felt foolish buying it too but for the money and considering the money I have in the other cables, then why not. The quality seems great as always with Audioquest. 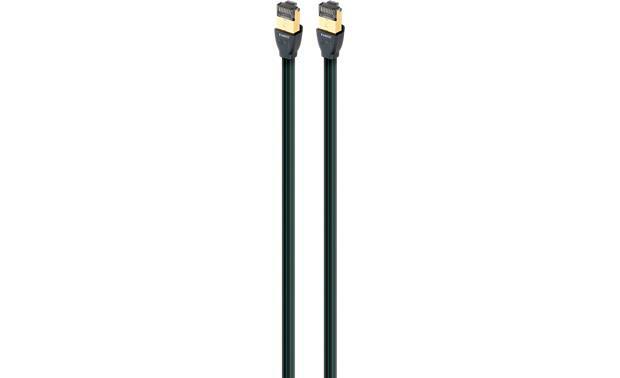 Ethernet Cat-7 Cable: Ethernet Cat-7 is the ideal cable for fast internet downloads, multi-player PC games, and movie or music streaming. 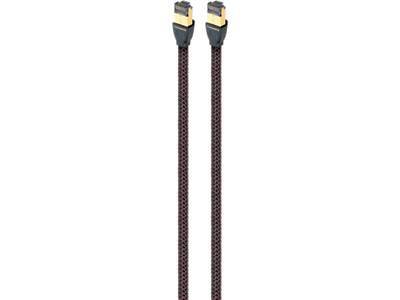 AudioQuest's Forest series Ethernet cable meets or exceeds the highest industry CAT-7 specifications. 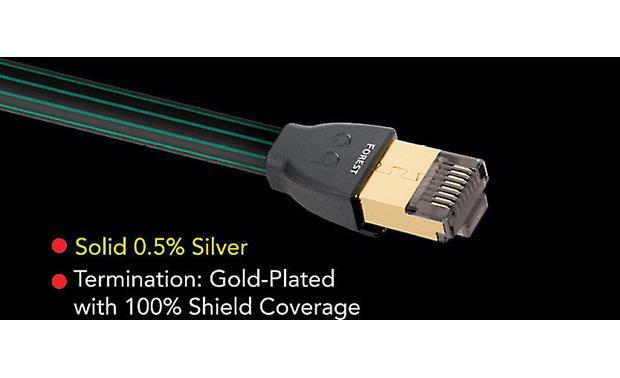 This Ethernet cable will deliver speeds up to 10 Gbps and uses individually shielded pairs to minimize crosstalk. Solid 0.5% Silver Conductors: Solid conductors eliminate strand-interaction distortion and reduce jitter. Solid silver-plated copper conductors are excellent for very high-frequency applications, like Ethernet audio. These signals, being such a high frequency travel almost exclusively on the surface of the conductor. As the surface is made of high-purity silver, the performance is very close to that of a solid silver cable, but priced much closer to solid copper cable. Get an Ethernet cable with thicker silver plating on each conductor for superior sound quality. Searches related to the AudioQuest Forest High-speed, low-jitter CAT-7 Ethernet cable.